If you have a team building day coming up that you need to organise, or want to treat the staff to a creative afternoon off, we have a workshop to suit your needs! We’ve picked out three arty team crafternoons that are suitable for all group sizes, all abilities and all audiences too. Perfect for promoting team wellness…. One of our most popular and most relaxing team workshops. Paint your own mug and mini plant pot. Plus we’ll bring along a cute mini succulent for everyone to add some greenery to their desk and a long-living reminder of their crafternoon. Excellent for all group sizes and mixed audiences. Easily adapted to fit your event plans, your workforce and your workplace. Great for learning a new skill…. 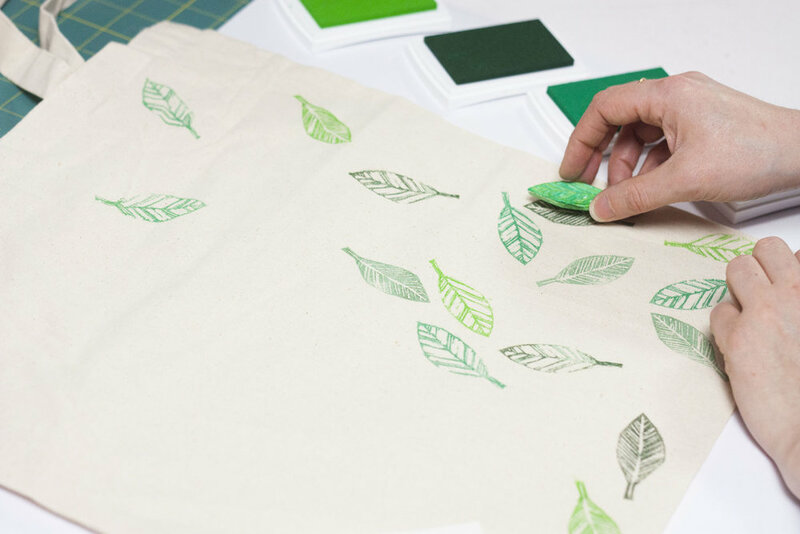 Our newest workshop on the block, is block printing! Discover fun and effective techniques to make and create unique print blocks from scratch. After a little practice with your handmade stamp design, you can start printing. Everyone will get the opportunity to print several pieces to take away - and to keep their print blocks so they can continue practicing their new block printing skills. Ideal for team bonding …. Collaborate as a team to make strings of colourful and customised bunting to brighten up the office and create a talking point too! We can tailor all materials to co-ordinate with your brand’s logo colours or the colour scheme of your choice. We’ll show you a range of techniques and decorative flourishes to personalise bespoke bunting you can all be proud off. Don’t forget, our whole range of creative team building workshops are available nationwide, and delivered in the venue of your choice. Be that at your workplace, or even as an excuse to pop off to the local pub! Want to find out more? Come say hello and tell us all about your team and your favourite creative team workshop.